Extracts from selected News & Views articles published this year. 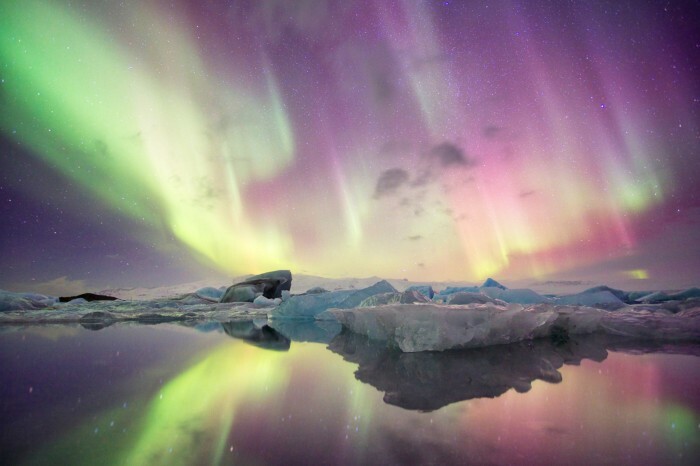 The Northern and Southern lights, also known as auroras, are as varied as the colours they display in the night sky. Discrete auroras are the kind that typically grace our desktops and calendar covers, and are produced a few thousand kilometres above Earth’s surface. By contrast, pulsating auroras are created tens of thousands of kilometres away, in the equatorial region of the magnetosphere — the area around Earth that is dominated by the planet’s magnetic field. For decades, it has been suggested that pulsating auroras are the result of interactions between magnetospheric electrons and electromagnetic waves called chorus waves that send electrons careering towards Earth’s atmosphere along magnetic-field lines. Kasahara et al. report direct evidence for this process using observations both from Earth’s surface and from a spacecraft positioned on a field line. Original research: Nature 554, 337–340 (2018). There is strong interest in understanding how neurodegeneration is affected by a cellular state called senescence, in which cells stop dividing, suppress intrinsic cell-death pathways and release pro-inflammatory molecules that can harm healthy neighbours. Bussian et al. focused on the neuronal protein tau, which, when in a mutated form dubbed tauP301S, causes the neurodegenerative condition frontotemporal dementia. The authors demonstrated that tauP301S expression in the neurons of mice can induce senescence in neuron-supporting cells called glia. In turn, senescent glia affect the ability of neurons to regulate tau phosphorylation and aggregation, ultimately promoting neuronal degeneration. The study adds to the growing body of evidence indicating that pharmacological removal of senescent cells could benefit people who have a wide range of conditions. Original research: Nature 562, 578–582 (2018). The first great-ape genome projects used the human genome as a scaffold to help assemble genomic regions in which corresponding stretches of DNA lay in the same order and were present in a similar number of copies. But in regions where genome structure has evolved very differently in humans, the great-ape assemblies tended to be fragmented, leading to a deficit in our understanding of the genomic elements that make humans unique. Kronenberg et al. 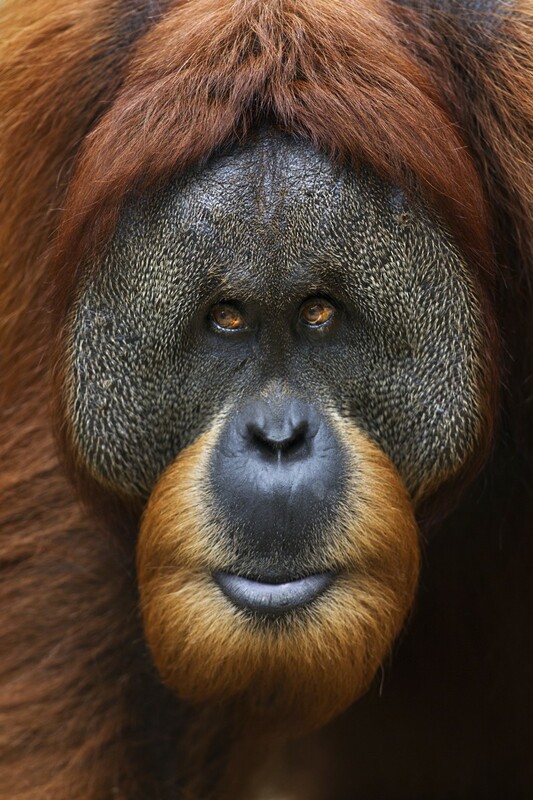 assembled high-quality genomes for a chimpanzee and an orangutan, along with two human genomes. They found more than 17,000 structural differences specific to humans, many of which disrupt genes. For instance, 41% of genes whose activity is suppressed in human progenitors for neurons and other cells in the brain’s cortex are associated with a human-specific structural variant. This is consistent with structural genomic changes causing disruption or loss of gene function during great-ape evolution. Original research: Science 360, eaar6343 (2018). Reactions known as cycloadditions construct molecules in a way that precisely controls the geometric arrangement of groups attached to carbon atoms. However, the scope of cyclo-additions is limited to certain reactants, which has restricted their use for making libraries of compounds. Chen et al. report a strategy that combines cyclo-additions with reactions known as carbon–carbon (C–C) cross couplings, to enable the modular and programmable preparation of cycloaddition-derived molecules. C–C cross-coupling reactions are often used to form bonds between carbon atoms that are already part of a carbon–carbon double bond. The use of such reactions to make compound libraries has resulted in a predominance of 2D molecules in compounds tested for drug discovery. 3D molecules tend to be rich in sp3 carbons, which have the capacity to form four single bonds. Chen and colleagues’ work will find numerous applications for synthesizing molecules rich in sp3 carbons for drug discovery. Original research: Nature 560, 350–354 (2018). Coastal communities around the world depend on tidal marshes and mangroves for the diverse services these wetland systems provide. Such systems commonly reside just above mean sea level, putting them at risk of being drowned by rising sea levels. Schuerch et al. present global-scale modelling that suggests that tidal wetlands are less vulnerable to sea-level rise than was thought. Tidal wetlands can colonize new low-lying areas that become flooded by sea-level rise. 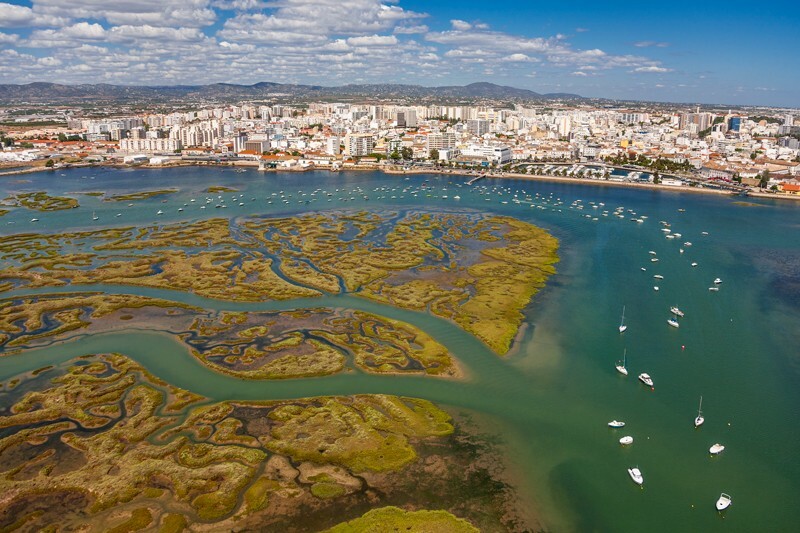 The authors’ results suggest that global tidal wetland loss will be 0–30% by 2100 for scenarios in which wetlands migrate only into sparsely populated regions, and if no action is taken to support or prevent migration. But wetland gains as high as 60% could be made when measures are taken that allow wetlands to migrate into more-populated areas. Original research: Nature 561, 231–234 (2018). The discovery of a single layer of carbon atoms, known as graphene, led to great interest in 2D materials. Whereas graphene is highly transparent to visible light, 2D materials that are highly reflective could be used as lightweight mirrors in optical or optoelectronic systems. The existence of such materials has been questioned, but, writing in Physical Review Letters, Back et al. and Scuri et al. report that single layers of molybdenum diselenide can have high levels of reflectance. Although the authors’ near-perfect mirrors work only in light from a narrow range of the electromagnetic spectrum, the two studies open up intriguing possibilities for the fields of nanophotonics and quantum optics. The authors also demonstrate that the application of a voltage causes the mirrors to switch from being highly reflective to highly transparent. Original research: Phys. Rev. Lett. 120, 037401 (2018); Phys. Rev. Lett. 120, 037402 (2018). Chronic infections can be hard to treat because slow-growing bacteria known as persister cells are usually unharmed by antibiotics. The development of treatments for killing persister cells is needed to target the bacterium methicillin-resistant Staphylococcus aureus (MRSA), which is resistant to several antibiotics. Kim and colleagues searched for molecules that could protect worms from death mediated by MRSA infection. Of the compounds that conferred protection, the authors focused on two molecules known as retinoids. Prompt killing of cells occurred when the retinoids distorted the bacterial membrane’s lipid bilayer. A major concern is how to optimize small molecules such as the retinoids to enable selectivity. The authors generated a compound that did not kill human cells, but did retain the ability to kill persister cells. Original research: Nature 556, 103–107 (2018). We asked readers to vote for a News & Views article to be included as part of our round-up of the year. This is what they chose. If we could make proteins from scratch to bind any desired target molecule, it would open the door to a wide range of biotechnological applications. Dou et al. describe a computational method for designing proteins tailored to bind a small molecule of interest, and use it to make ‘fluorescence-activating’ proteins — biotechnological tools that have potential applications in biomedical research. The application of this method for designing ‘β-barrel’ proteins that bind small molecules is the first demonstration of the de novo design of both protein fold and function. Previous computational methods relied on building a binding cavity into a protein template found in nature. By contrast, Dou and co-workers have designed a β-barrel that has a shape distinct from those found in nature, and constructed a binding pocket that is specifically tailored to a target small molecule. Original research: Nature 561, 485–491 (2018).